In mid-2013, the government property development agency Places Victoria was in a time of strife. Significant financial problems saw the workforce decrease from 205 to 75 employees over the course of two years. Caroline Monzon, HR director of Places Victoria, spoke at the National HR Summit in Melbourne today about this time of tumultuous change. To rally the troops and bring the organisation around, Monzon pushed for a cultural reality check that ultimately boosted morale and engagement amongst staff. “Sometimes in the winds of change we find our direction,” she quoted. From 2014 to 2016, overall job satisfaction rose from 65% to 82%. In the same period of time, the number of employees who would recommend Places Victoria as a Great Place to Work increased from 52% to 79%. To reach this level of success, Monzon created a change management strategy involving a leadership team and independent facilitator who could honestly analyse the firm’s present state and where it wanted to be in the future. To engage employees with this strategy, she told HC it was important to replicate these activities at a divisional level. To strengthen the leadership team during these times, Monzon placed an emphasis on accountability and transparency. 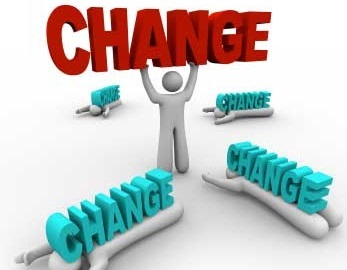 How can HR inspire change?